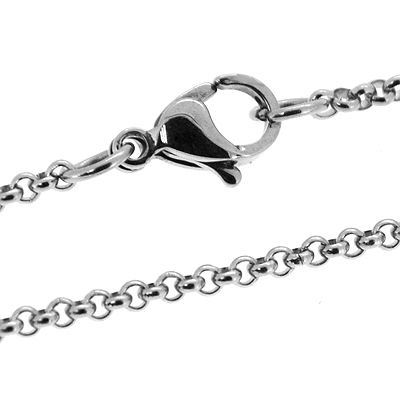 This stainless steel necklace chain is 3mm in width with a traditional clasp fastener. Choose from a 18″, 20″ or 24 ” chain. This stainless steel necklace chain is 3mm in width with a traditional clasp fastener. 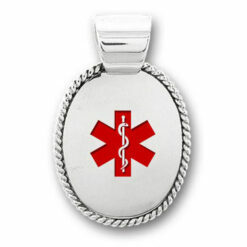 If you need a replacement chain for your medical ID then this chain is perfect. 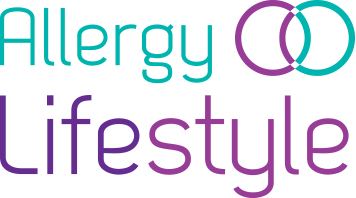 It’s nickel free and comes in three different lengths for you to choose from. At 3mm, the chain is neither bulky nor too fine. It’s just the right size for men or wmen to wear their medical ID. It’s strong enough to last for years. 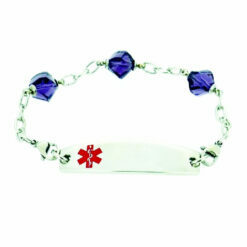 As it’s made from stainless steel, it won’t tarnish so it can be worn while bathing or swimming.